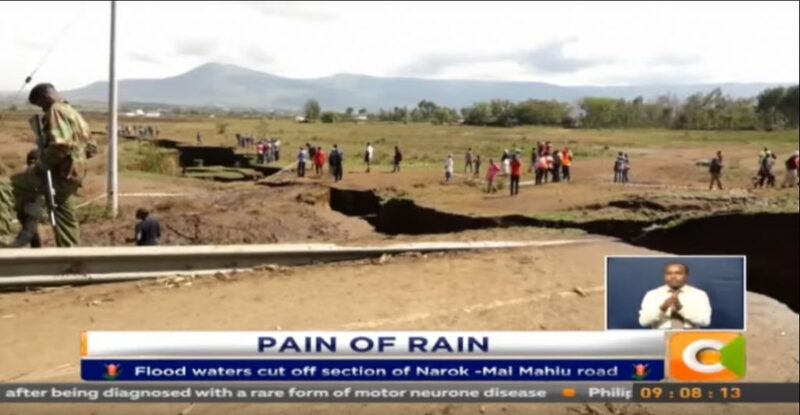 The Narok – Mai Mahiu road has been reopened to traffic after repair works on the section that had been cut off by flood waters. 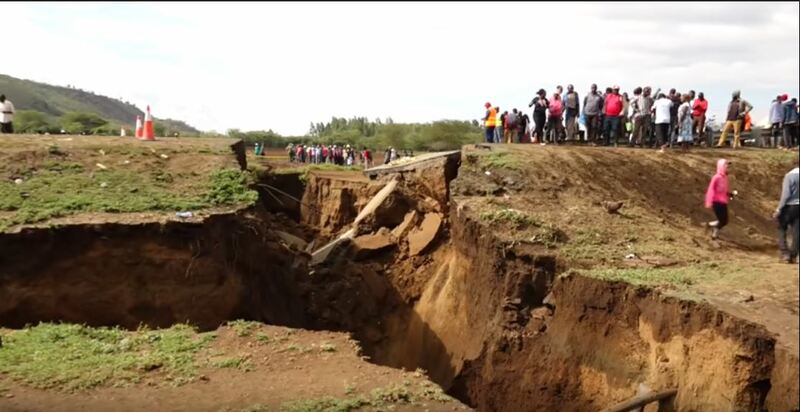 Hundreds of travellers were stranded for hours on road after a section of the road collapsed on Tuesday night. 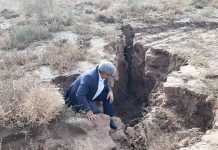 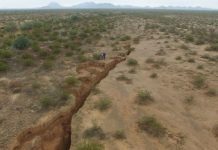 The giant crack responsible for the collapse is 3 kilometers long and at least 6 meters deep. 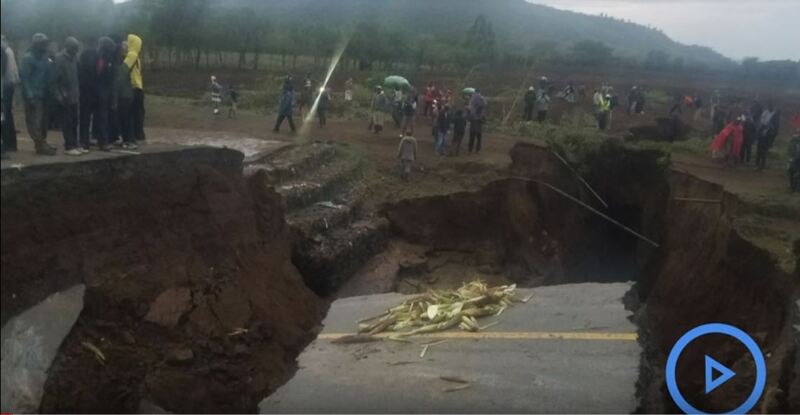 The heavy rains killed one schoolgirl. 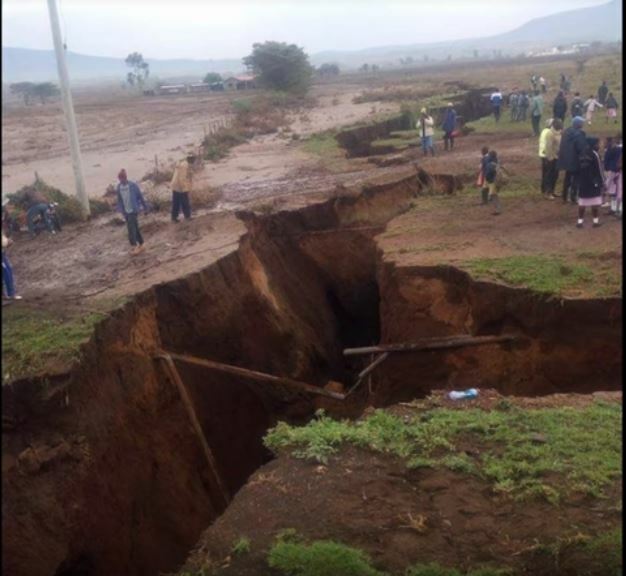 Three other students from a local secondary school were saved from being swept away and taken to hospital. 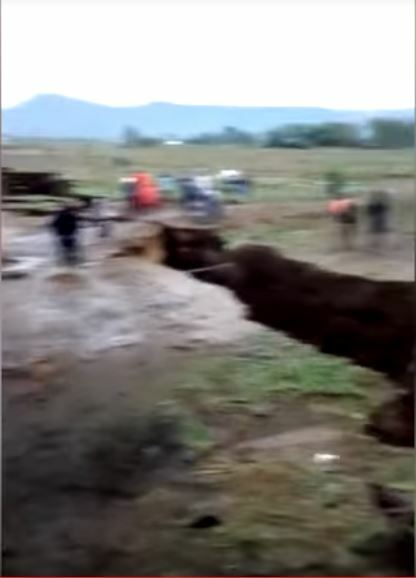 A giant crack opened up in Kenya, cutting off a busy road after heavy rains. 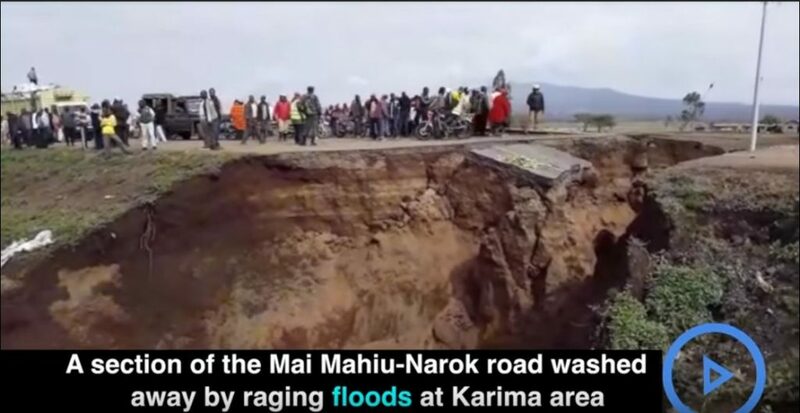 After the lightning that killed more than 15 people in Rwanda, now deadly floods damage Kenya. 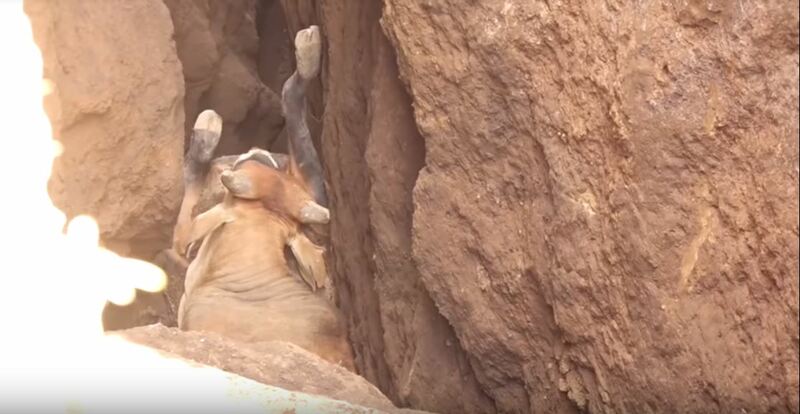 SOmebody has something against Africa right now! Comment:i hope no 1 dies in this activities……..